This isn’t your father’s hit-tracker. Modern site analytics is an extremely powerful tool—brimming with complexity—that provides nearly unlimited benefits. Gain insight about your customers so that you can go get more like them. When paired with an online marketing campaign, analytics allow you precisely measure effectiveness through clearly defined conversions. Let Align set up a strategic set of analytics reports regularly delivered right to your inbox. Data alone may or may not be valuable. 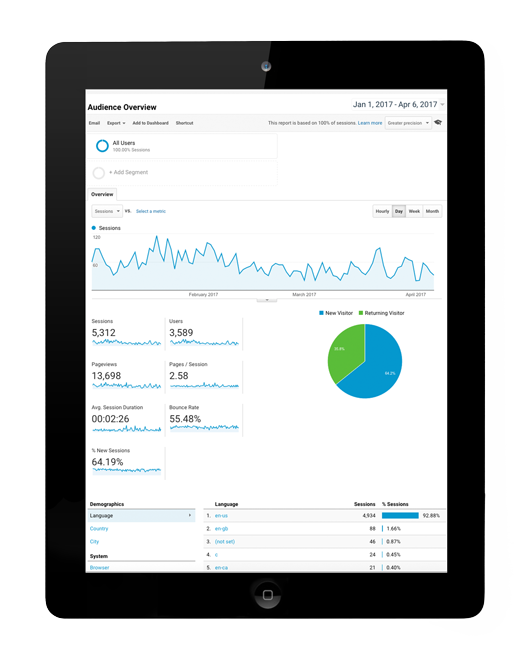 It is the ability to filter, analyze, distill and display data that leads to true insights about your digital strategy.